Linda Williams, Economic Development Specialist for the Small Business Administration is presenting these important mini-workshops for the business owner. The sessions are held at the Microsoft Store at the NorthPark Mall, Dallas, TX. Learn important information about starting and growing a business today! The workshops are free, but registration is required. Attend one or attend them all - registration is separate for each workshop. Seating is limited so reserve today! 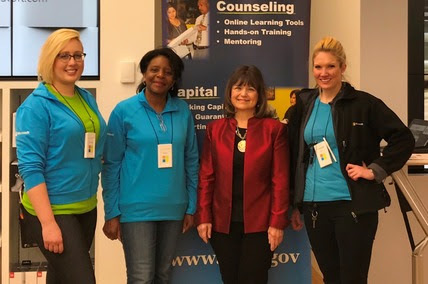 Join SBA’s Linda Williams at the Microsoft Store at the North Park Mall for the Business Smart Toolkit presentations, a mini-workshop series on entrepreneurship. There are three stand-alone modules of 1 ½ hour duration that can be taken in sequence, or taken individually without the others. The modules are titled Ready, Set, Go. Module 1 (Ready) includes tips on Starting Your Business such as understanding your competitive market and business plan development. Module 2 (Set) moves into credit-worthiness and financing strategies. In Module 3 (Go) you will gain valuable information about free and low cost resources available to every business owner as well as ways to find and start using them! The Business Smart Toolkit series is an eye-opener for many entrepreneurs who think they have the ticket for success, but actually lack basic information very critical for survival and growth. Ready, Set, Go – are you ready to start and grow your small business into optimal success? Don’t miss these workshops – it is time you “know what you don’t know” about business ownership and success. Register Today, But Don't Delay - Seating is Limited. Click the links above for the workshops you plan to attend. Each workshop will be presented again on a schedule to be announced. If you are unable to attend all three now, just register for those that you can attend and catch the others at a later time. This information is valuable and the time is now to get focused on your business dreams for success. Make your dreams a reality!